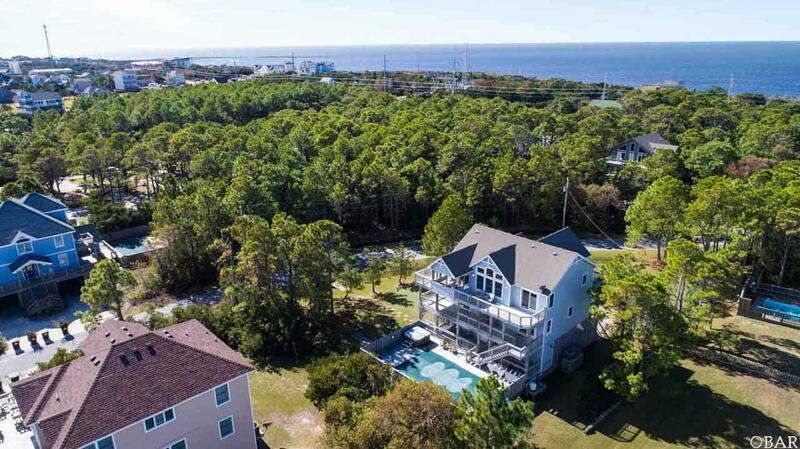 25219 Island Pines Drive, Waves, NC.| MLS# 102616 | Outer Banks Homes For Sale, North Carolina Home Search Including Nags Head, Pirates Cove, Manteo, Kill Devil Hills Kitty Hawk, Southern Shores, Duck, and Corolla North Carolina, Oceanfront and Soundfront properties for sale and long term rentals. 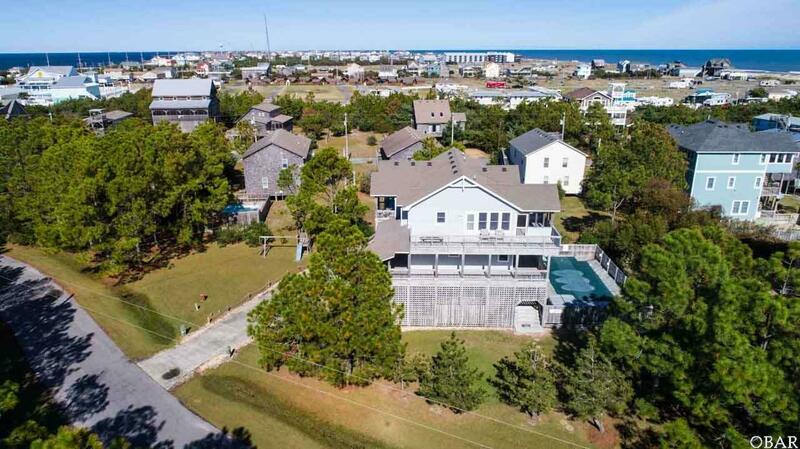 Beautiful custom home situated just 5-Lots from the oceanfront with direct beach access just short walk away. 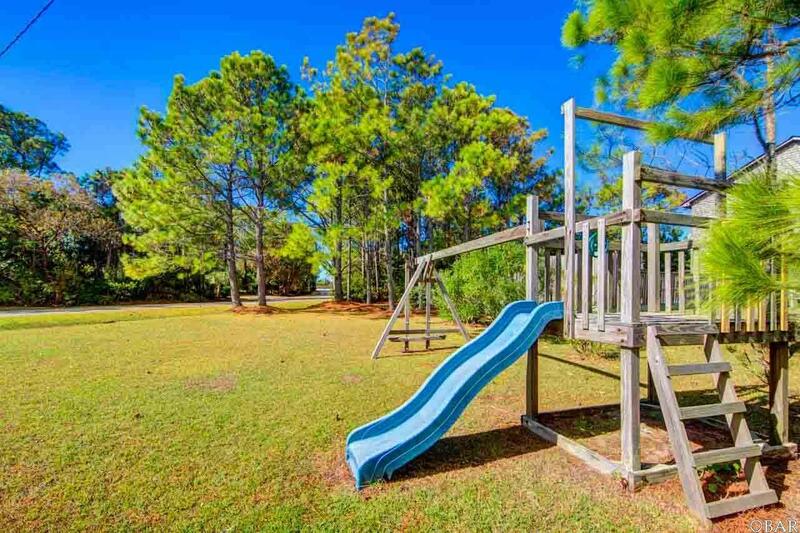 This family friendly home is well designed and extremely well built by one of the areas most regarded builders. 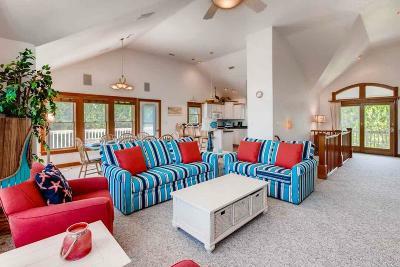 Generous decks, expansive windows, cathedral ceilings, spacious living areas and well-appointed furnishings place this home a step above the rest. 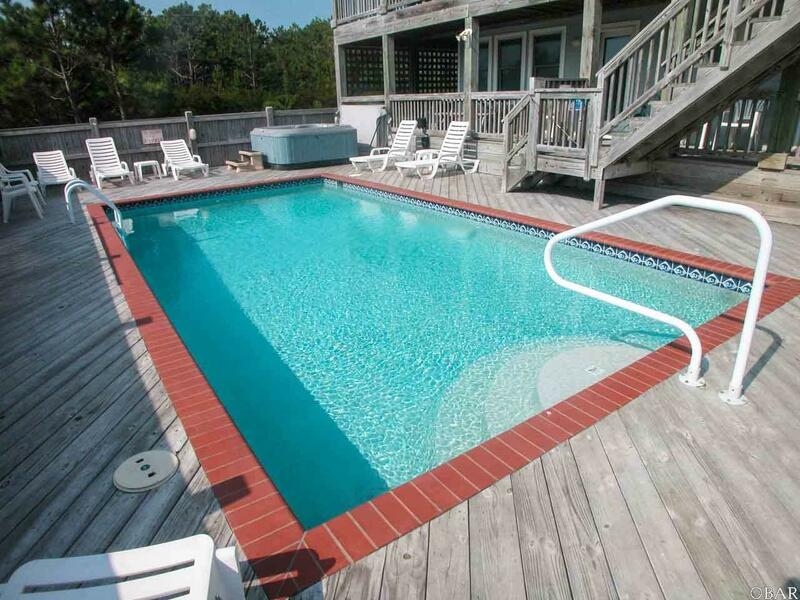 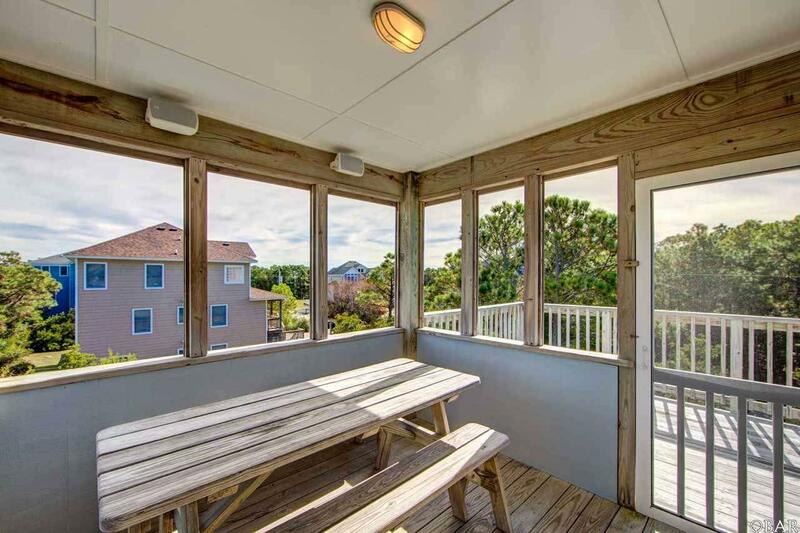 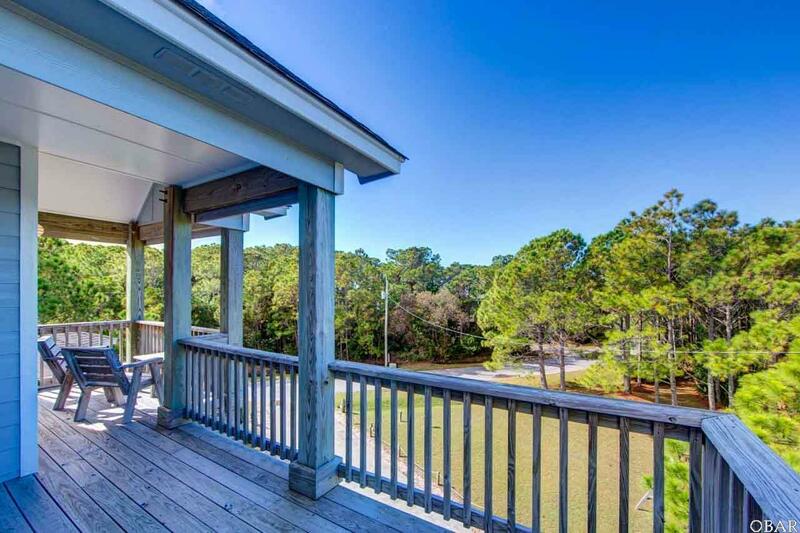 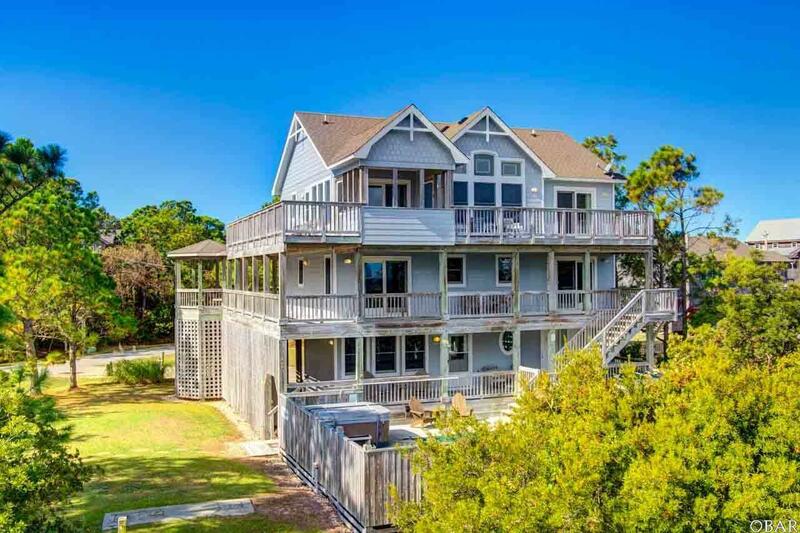 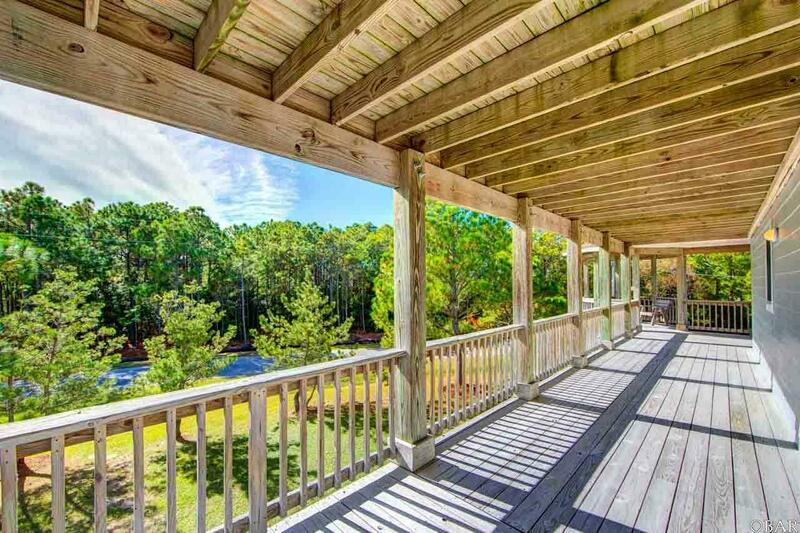 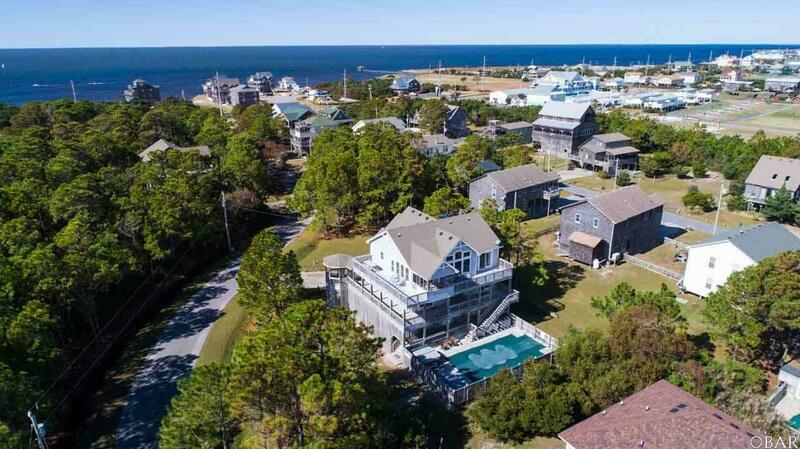 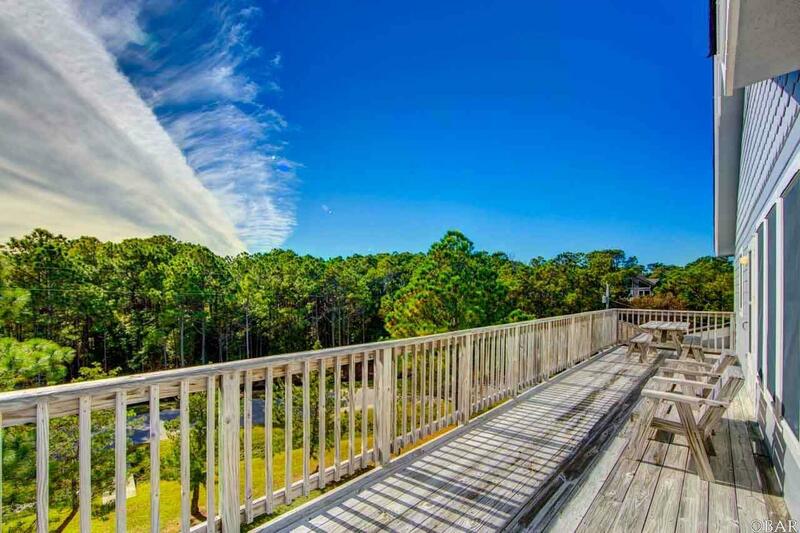 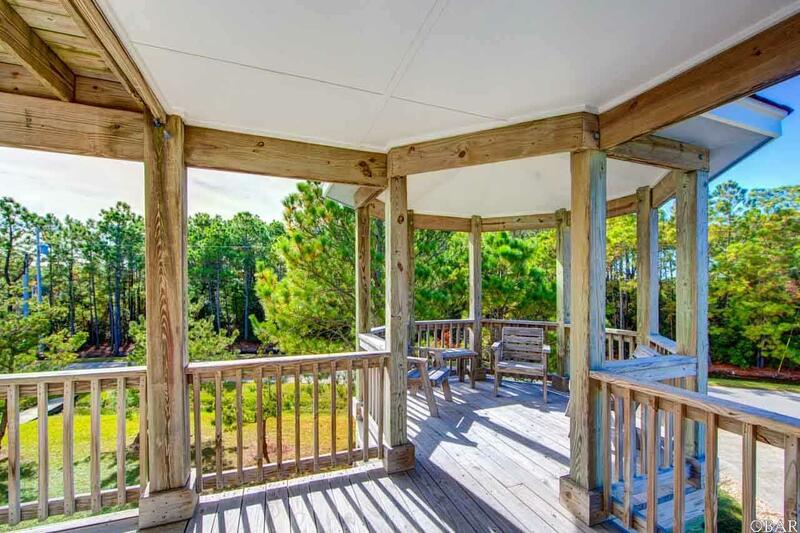 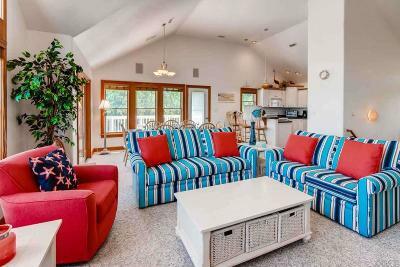 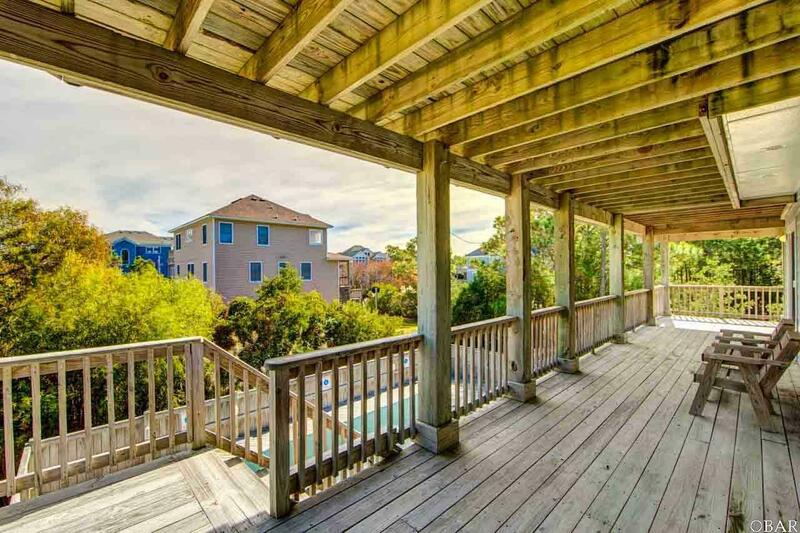 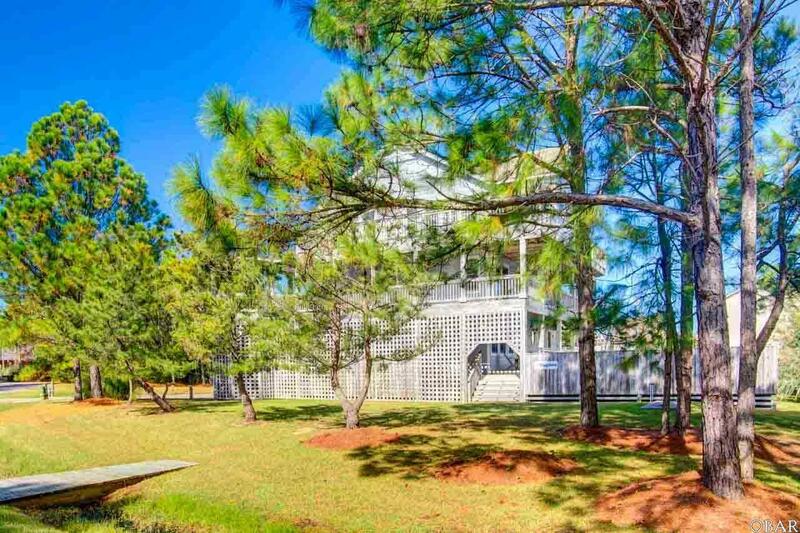 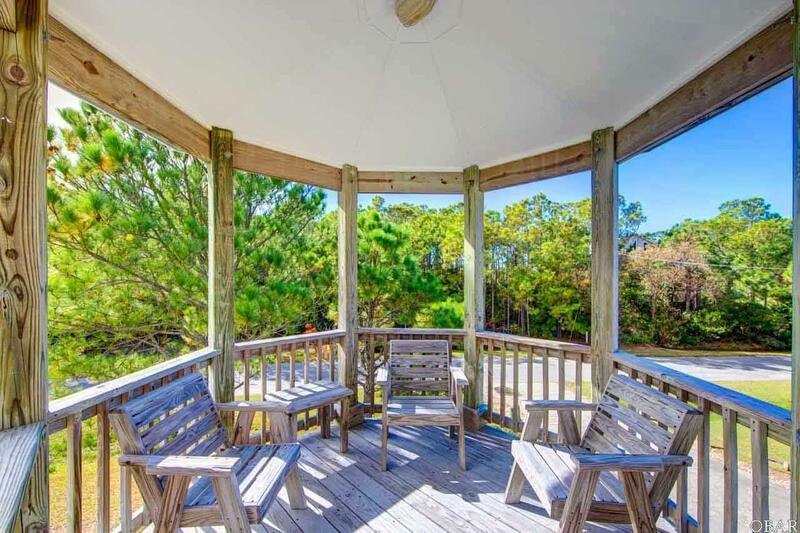 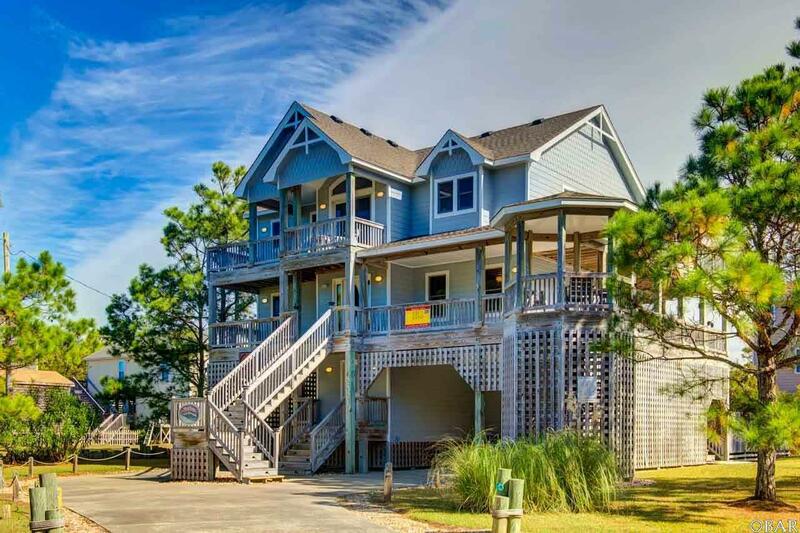 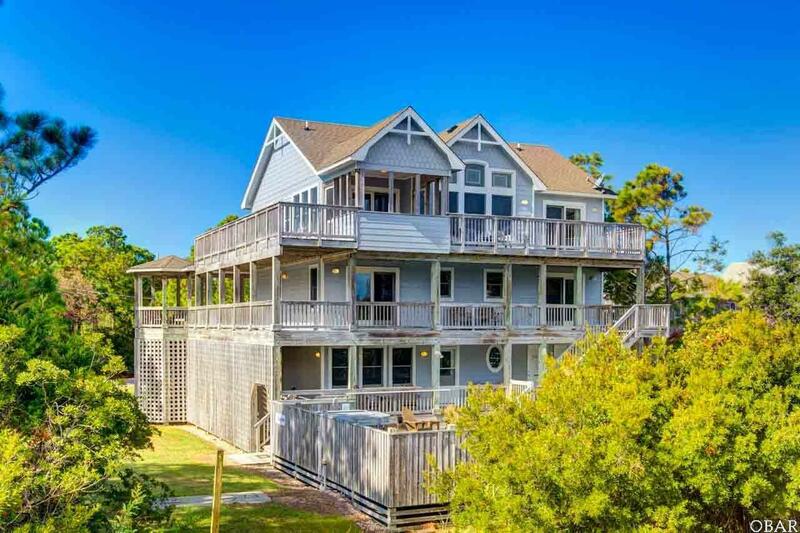 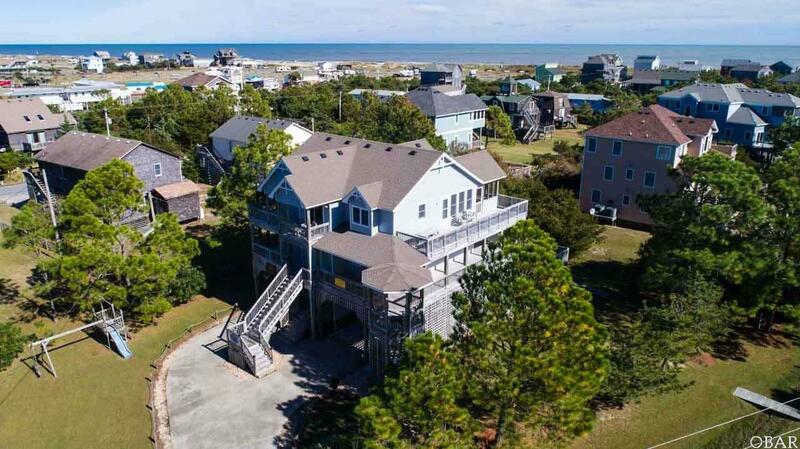 After a day at the beach, take a dip in the large private pool, relaxing soak in the 6-person hot tub or enjoy a beautiful vista from the multi-level deck, gazebo or screen porch. The chef in the family will appreciate the well-equipped kitchen and the generous dining area is the perfect place for the entire family to gather at meal times. 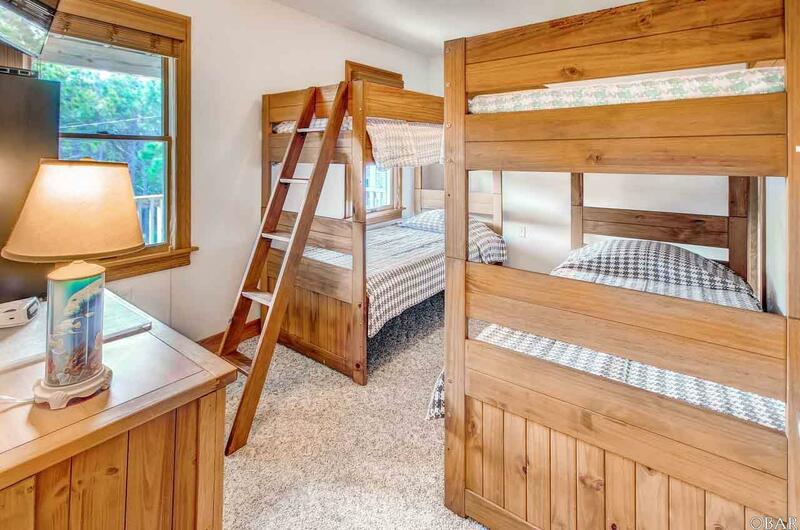 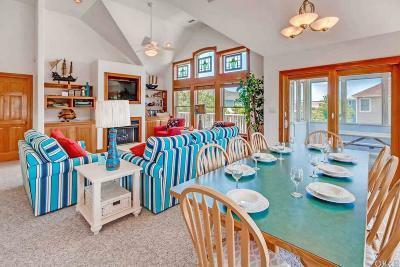 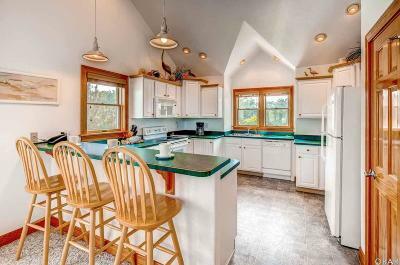 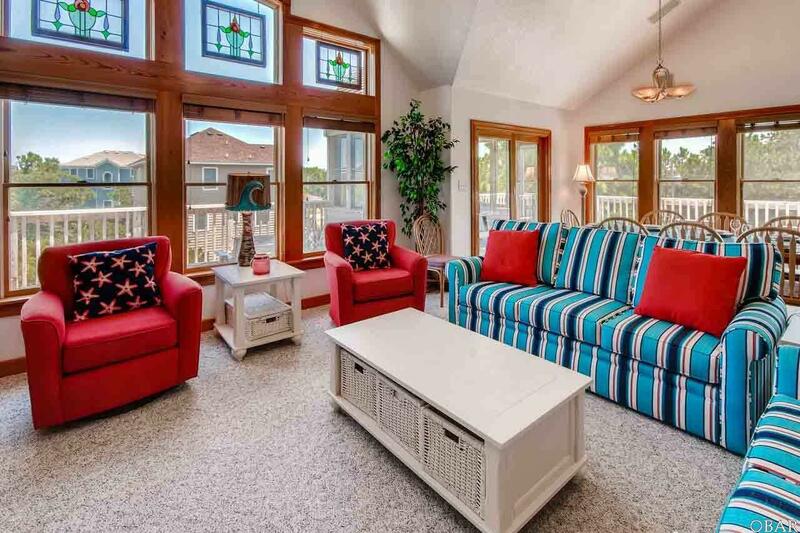 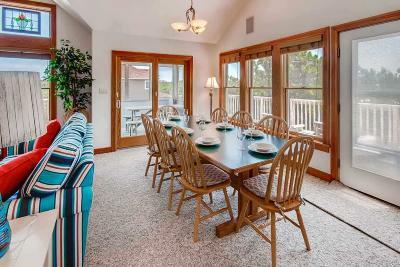 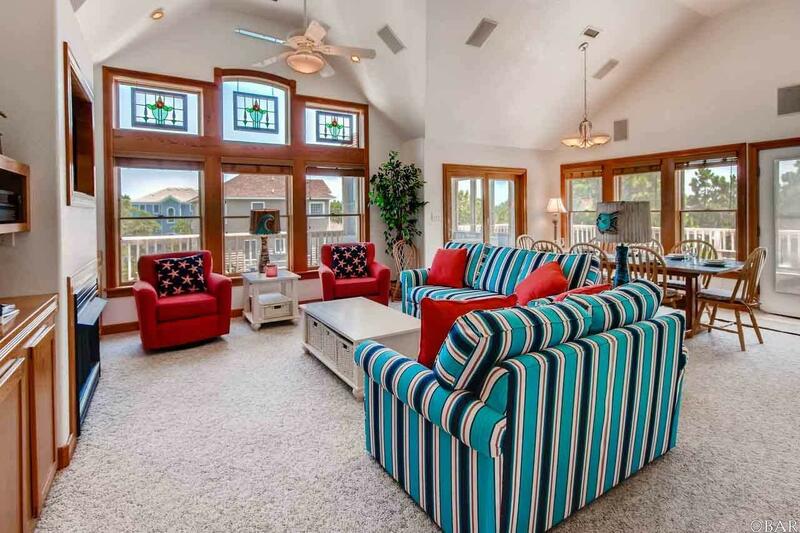 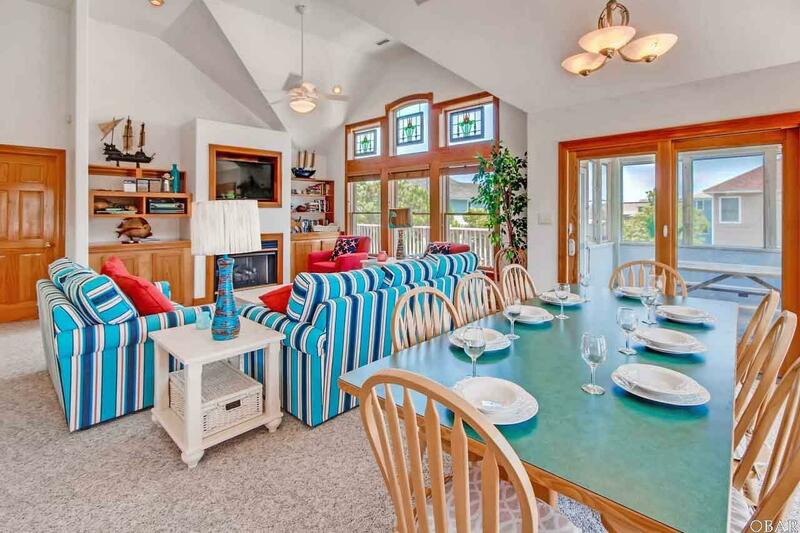 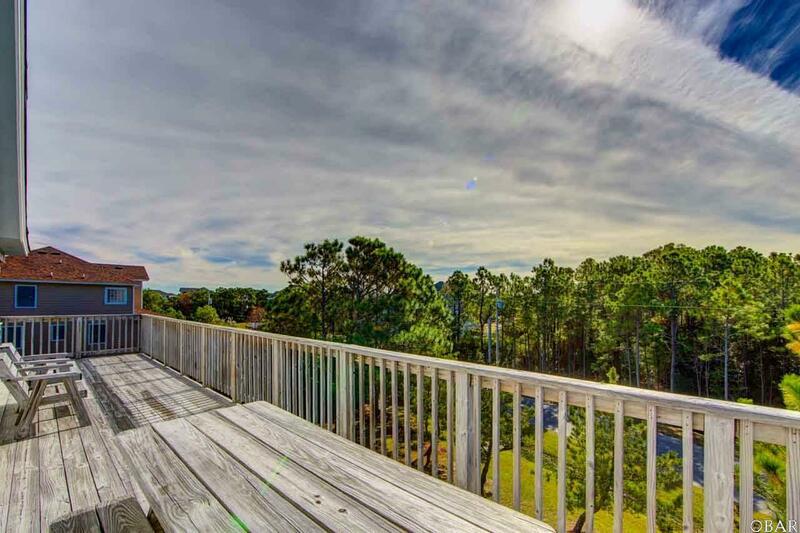 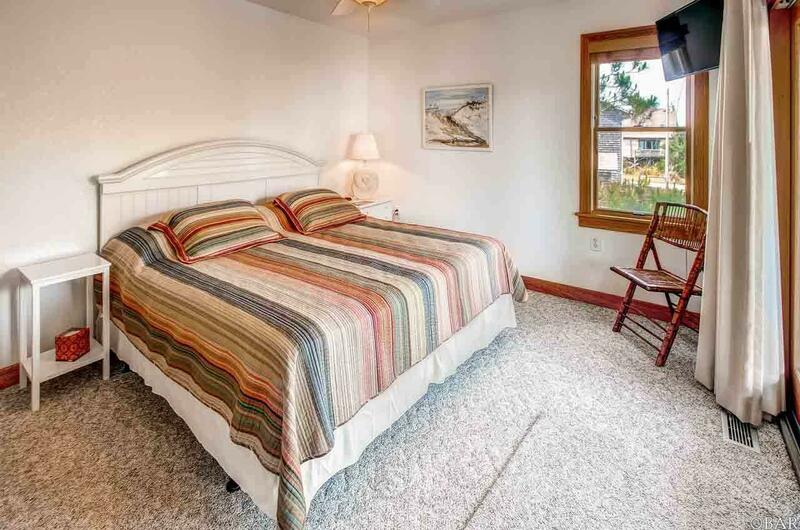 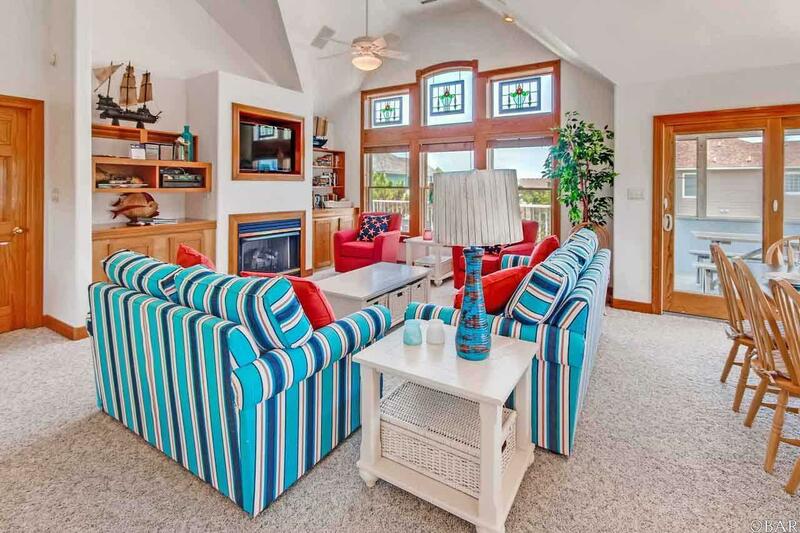 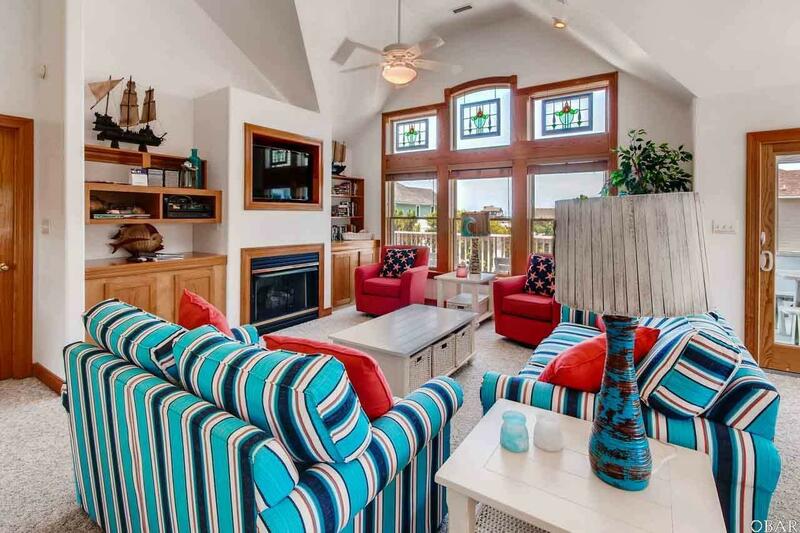 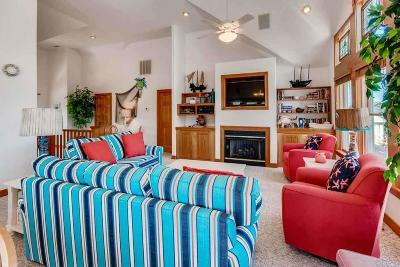 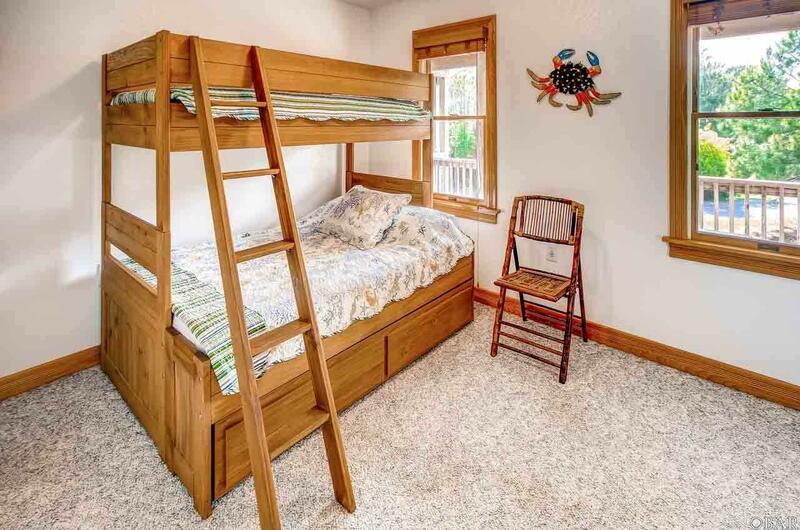 Ocean and sound views from sunrise to sunset; there's plenty of fun for all ages at this home. 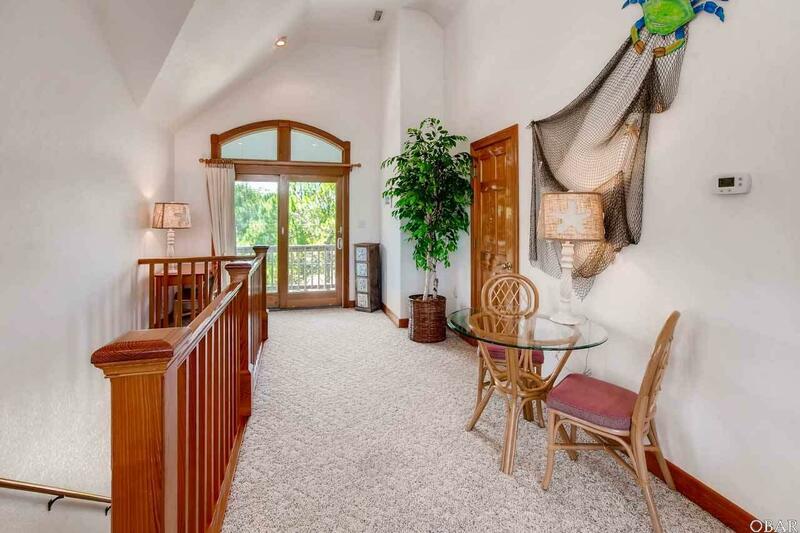 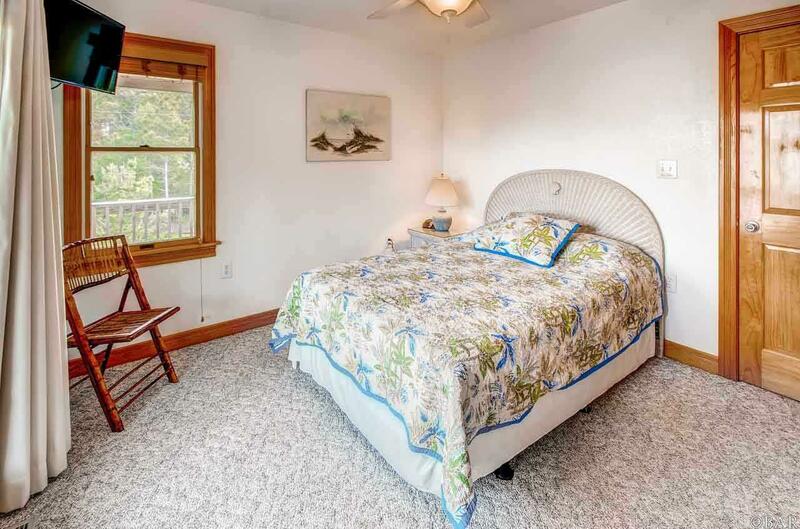 As you approach this home, the ground level features double carports, and outdoor showers. 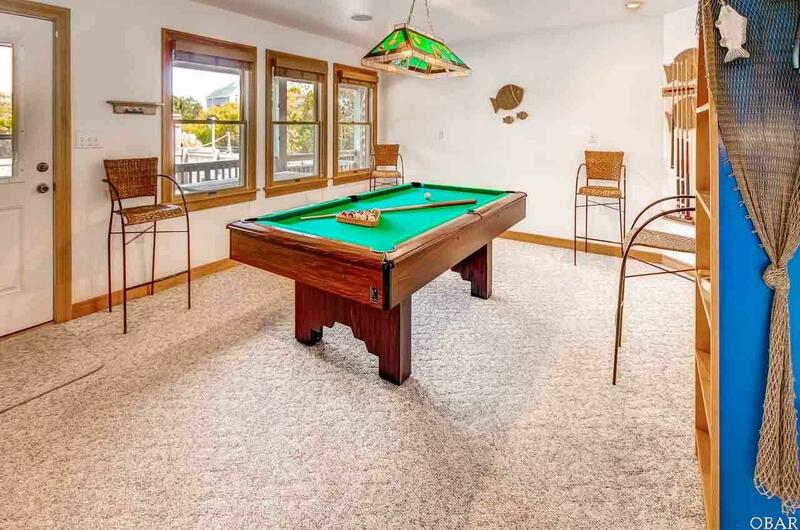 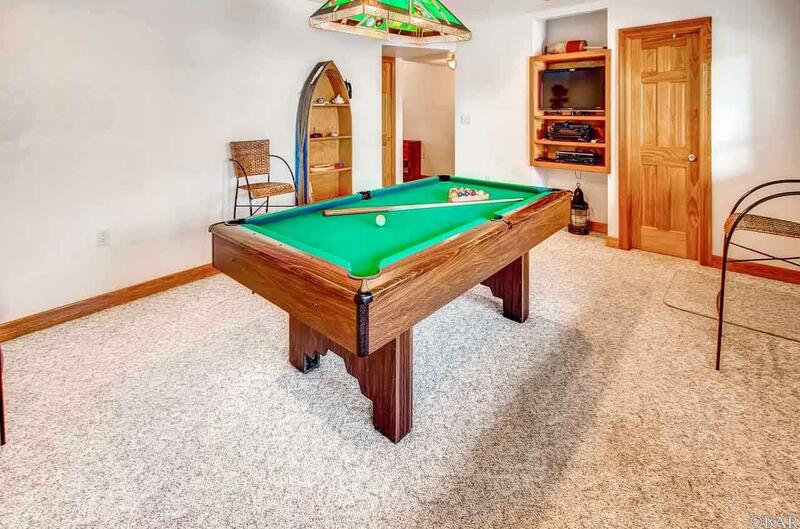 The lower-level features the recreation room with billiards table, a recessed wet bar with refrigerator, full bath and convenient access to the raised pool and hot tub area. 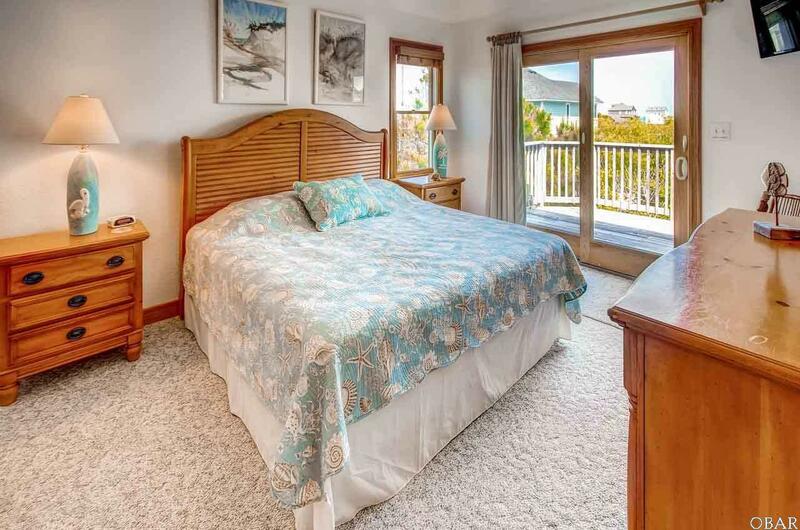 There are four master suites situated on the mid-level, and all have deck access to the gazebo, which is open on all sides for the refreshing trade winds. The top-level features an open plan design with great room, kitchen, dining areas, screen porch, cathedral ceilings, powder room as well as the grand master suite with a whirlpool tub and separate shower. This home rich with custom features and amenities; you must see to truly appreciate all it has to offer.